A: Let us take a glass slab of refracting index "μ". 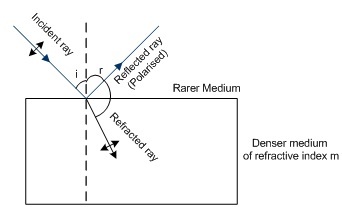 When the angle between refracted ray and reflected ray is 90˚ then both the ray should polarised. This law is called Brewster's Law.